From steaming to stir frying, deep-frying to braising and even smoking, I Love My Wok will show you exactly how versatile the wok really is. Showcasing over 100 delicious and nutritious recipes for all occasions, Nicola Graimes shows how one pan really can do it all. Heat a wok until hot. Add 1 tablespoon of oil, then the garlic, spring onions, ginger and chicken and stir-fry for 4 minutes until cooked through. Pour in the soy sauce and wine and cook, stirring for a further minute or until all the liquid has evaporated. Season to taste with salt and pepper. Place one wonton wrapper on a flat surface, keeping the others covered with a damp cloth. Put a tablespoon of the chicken filling in the middle of the wrapper. Brush the wrapper with a little water, then gather the sides up around the filling and pinch together to make a bag, enclosing the filling. Set on one side, covered with a damp cloth. Repeat with remaining wrappers and filling. Heat enough oil in the wok to deep-fry the filled wontons. When the oil is hot enough to brown a day-old cube of bread in 35 seconds, add 3-4 wontons and cook for 1-2 minutes until golden. Repeat with the remaining wonton. 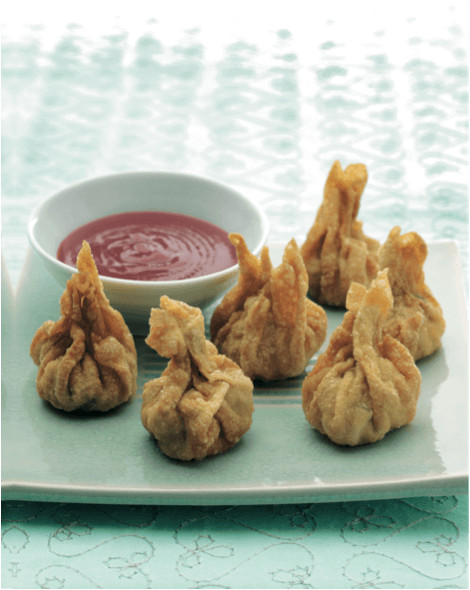 Serve immediately with sweet chilli sauce, for dipping. Mix together all the marinade ingredients in a dish. Add the tofu and stir to coat. Leave for 1 hour, turning the tofu occasionally. Drain, reserving the marinade for later. Preheat the oven to 180°C/ 350°F/ Gas 4. Put the tofu on a lightly oiled baking sheet and roast in the oven for 20 minutes, turning halfway, until crisp and golden. Meanwhile, cook the noodles following the packet instructions. Rinse, refresh under cold running water and set on one side. Mix together the rice vinegar, ketchup, oyster sauce and sugar in a small bowl and set on one side. Heat a wok until hot. Add the oils, then toss in the ginger, red pepper and carrot and stir-fry for 1 minute. Add the courgette/ zucchini, Chinese leaves and the white part of the spring onions/scallions and stir-fry for another 2 minutes. Mix the rice vinegar mixture and the reserved marinade together and add to the wok with the cooked noodles. Toss over a medium heat until combined and heated through, then serve with the tofu, sesame seeds and the green part of the spring onions/scallions sprinkled over the top. Put the pork, bird’s eye chillies, ginger, coriander/cilantro leaves, lemongrass and spring onions/scallions in a food processor and process to form a coarse paste. Season to taste with salt and pepper, then form into 16 walnut-sized balls and chill in the refrigerator for 30 minutes. Heat half the oil in a wok and fry the pork balls, four at a time, for 4 minutes, turning occasionally, until golden. Add more oil if necessary before cooking the next batch and keep the cooked balls warm while cooking the remainder. Wipe the wok clean; pour in the remaining oil and heat. Add the garlic and mustard seeds and stir-fry for 30 seconds, then add the chilli powder, spinach, rice wine, soy sauce and sugar. Stir-fry for 2 minutes, then add the lime juice. 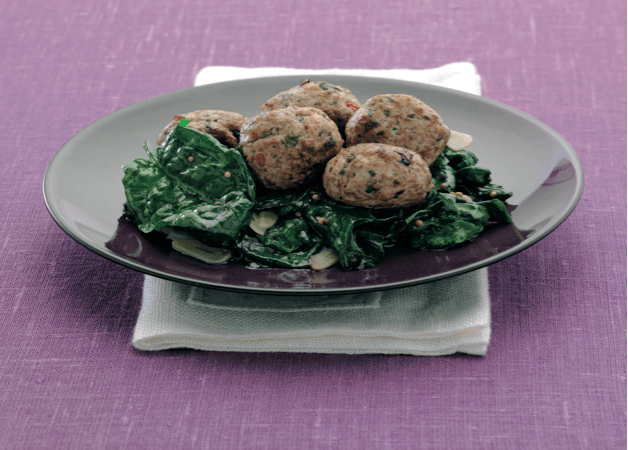 Season to taste with salt and pepper and serve, topped with the warm pork balls. 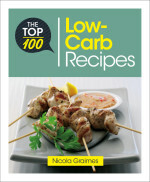 Nicola Graimes is an award-winning cookery writer and former editor of Vegetarian Living magazine. She has written more than 20 books, including The Top 100 Recipes for a Healthy Lunchbox, The Big Book of Wok, The Big Book of Low-Carb Recipes, Veggienomics, The New Vegetarian Kitchen (that was chosen as one of OFM‘s Top 50 Cookbooks of the Year) and The Part-Time Vegetarian for Nourish. 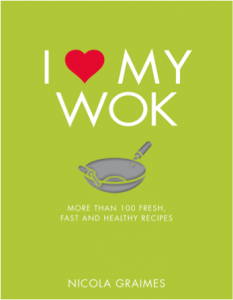 ‘I Love My Wok’ is available to buy from the 17th August 2017 from Nourish. 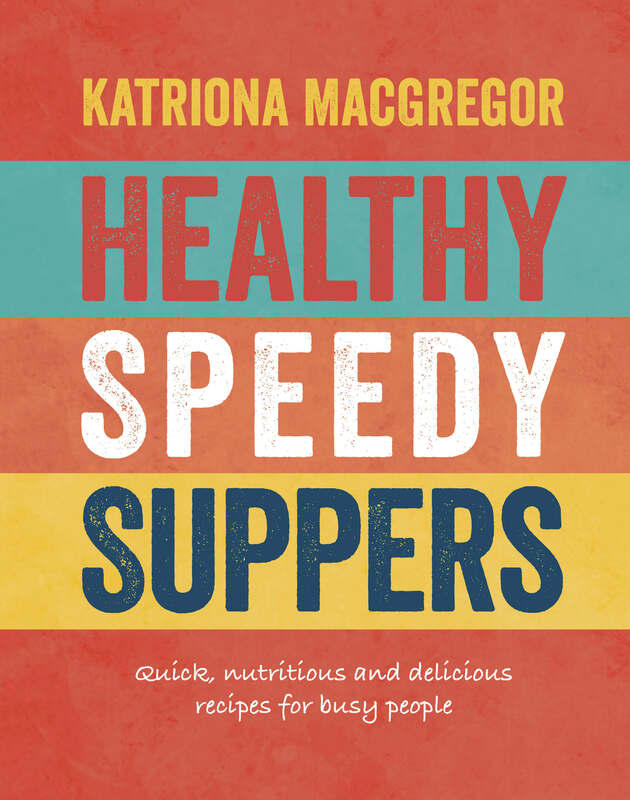 These little cakes from the book Healthy Speedy Suppers by Katriona MacGregor are free of gluten and dairy if you’re sensitive to either. 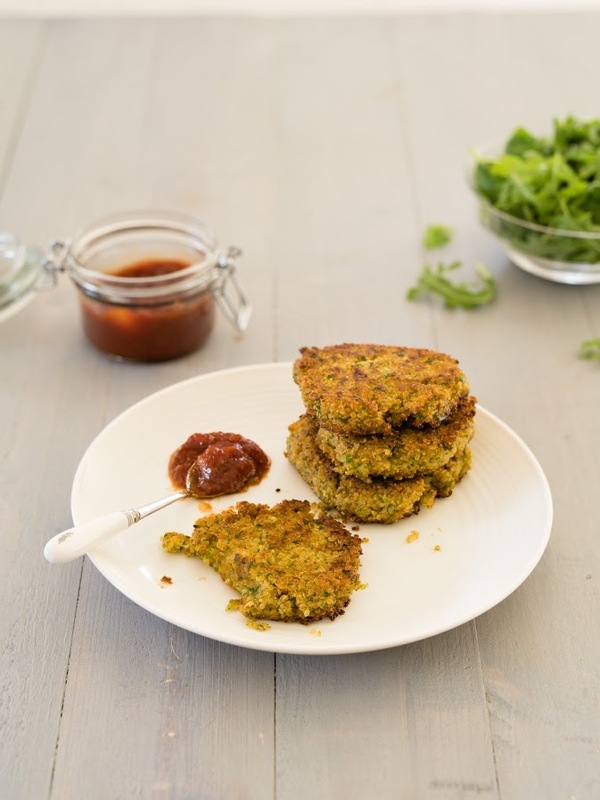 The quinoa gives them a firm, nutty texture, which is delicious with the fresh herbs and courgette/zucchini. Dipped in a little garlic mayonnaise, chilli jam or tomato chutney, they’re wonderful. Tip the quinoa into a small saucepan and cover with 300ml/10 ½ fl oz/ 1 ¼ cups of cold water. Bring to the boil, cover with a lid and cook for about 5 minutes until all the water has been absorbed and the quinoa is cooked. Turn out into a bowl and leave to one side to cool. Meanwhile, place the grated courgette/zucchini in the bowl of a food processor with the spring onions/scallions, garlic, mint, parsley, sun-dried tomatoes, lemon juice and cornflour/cornstarch. Crack the egg straight into the mixture, add the quinoa, and season with salt and pepper. 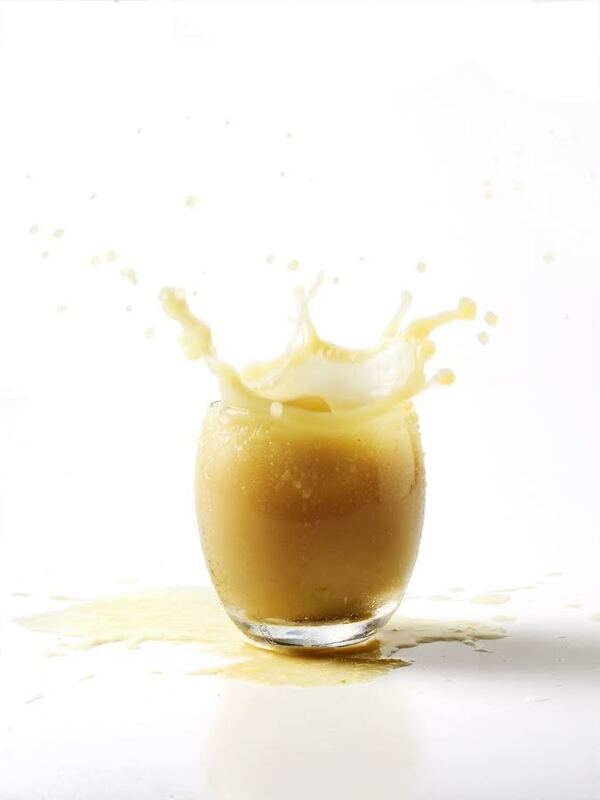 Blend for about 30 seconds to mix the ingredients thoroughly and to form a thick paste. Tip the mixture out into a bowl and taste to check the seasoning. Heat about 5mm/1/4 in rapeseed/canola oil in a large frying pan until the oil is hot enough to sizzle loudly when you drop in a tiny bit of the courgette/ zucchini mixture. Drop a heaped tablespoon of the mixture into the hot oil, flattening slightly with the back of the spoon to form round patties. Repeat until you have 3–4 cakes in the pan at the same time, or as many as your pan will fit comfortably, with room to turn. After 3–4 minutes the underside of the cakes should be nicely golden and holding their shape. Gently flip them over and cook until the second side is golden. Lift the cakes out of the oil onto some paper towels and keep warm. Repeat until all of the mixture has been used; you should end up with 12–14 cakes. 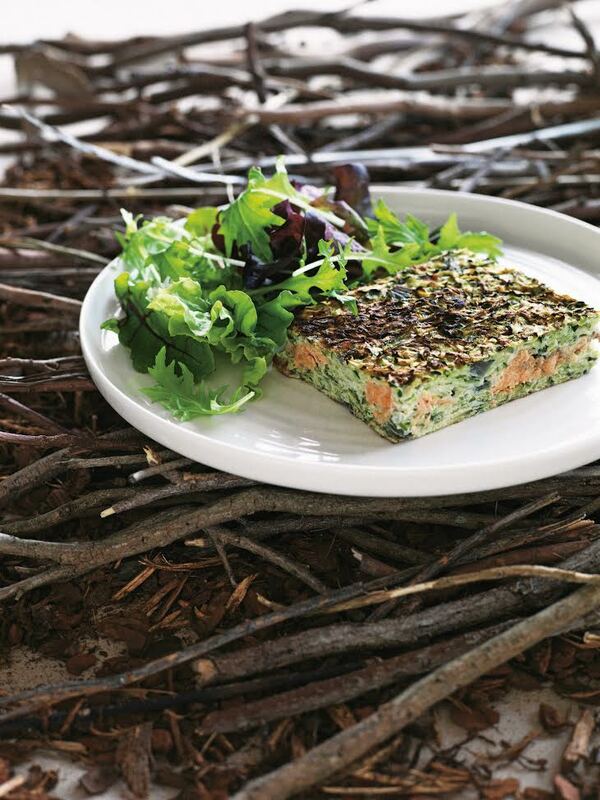 Serve the cakes warm with green salad and your choice of dip. To make a very quick garlic mayonnaise or aioli, add 2 crushed garlic cloves to 4 tbsp good-quality mayonnaise along with a squeeze of lemon juice. Season with freshly ground black pepper and, if needed, a little sea salt. 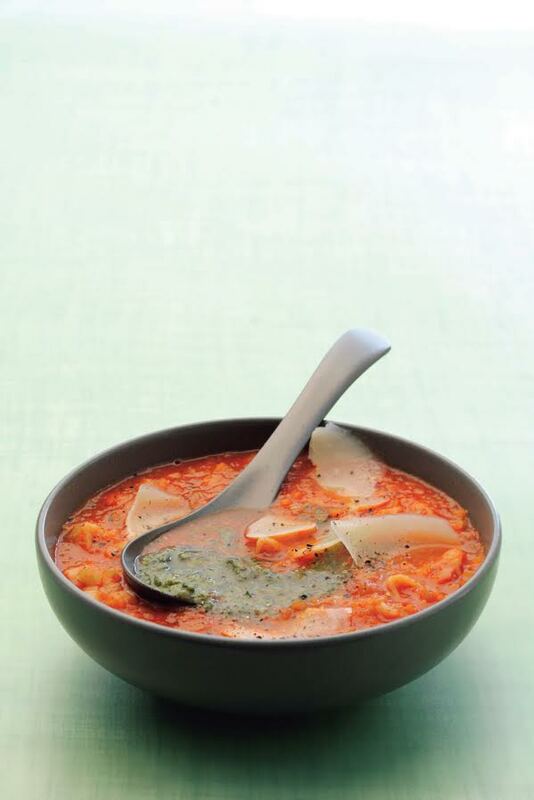 This recipe from Healthy Speedy Suppers by Katriona MacGregor, was given to the author by her good friend and fellow cook, Bella Thomas-Ferrand, it sings of indulgent Italian eating, both with its classic flavours and ease of preparation. A friendly greengrocer will find you figs, but failing that, good supermarkets have them out of season. After a few days in the fruit bowl and the help of sticky balsamic caramel they will be delicious. If sourdough isn’t available then any good-quality crusty loaf will work, the chewier and more rustic the better. Pour the vinegar into a small pan, add the brown sugar and heat gently. Once the sugar has dissolved, turn the heat up and simmer rapidly until the liquid is reduced and syrupy. 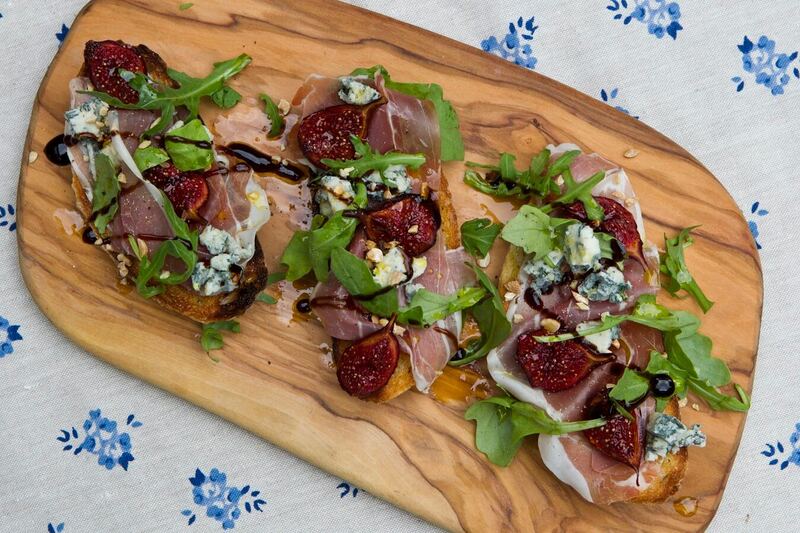 Slice the figs into quarters, vertically through their stalks, and place cut side down in the balsamic syrup. Cook over a medium heat, with the syrup bubbling, for 1–2 minutes, then turn the fig quarters, spooning the liquid over the figs. Remove the figs to a small plate, then boil the remaining syrup until reduced to a thick glaze. Meanwhile, toast the pine nuts in a small frying pan for 1–2 minutes until lightly coloured, then leave to one side. Toast the sourdough on both sides using a griddle/grill pan or alternatively under a grill/broiler. Rub the garlic cloves over the toasted bread, then drizzle with olive oil. While the bread is still warm, top each slice with 2 slices of prosciutto, followed by the caramelized figs, Gorgonzola and a drizzle of both the balsamic glaze and some more extra virgin olive oil. Scatter over the rocket/arugula and pine nuts and grind over some salt and pepper. 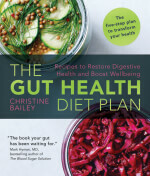 These antioxidant-packed nuggets from The Gut Health Diet Plan by Christine Bailey are ideal for healing the gut and lowering inflammation. Matcha has anti-bacterial effects on the digestive system making it a useful choice for improving gut health. The raw cacao butter makes the snacks rich and creamy – an indulgent healing treat. Line a baking sheet with baking parchment. Put the xylitol into a blender or food processor and grind very finely. Soak the cherries in warm water for 15 minutes. Drain. Put the cashew nut butter into a food processor or a bowl and add the xylitol, lemon zest and juice, matcha, salt, cacao powder and cacao butter. Pulse, or stir, to combine. Add the cherries and the remaining ingredients, and process, or stir, to form a dough. Chill in the freezer for 30 minutes to firm up. Use a spoon to scoop out walnut-size pieces. Roll into balls and put on the prepared baking sheet. 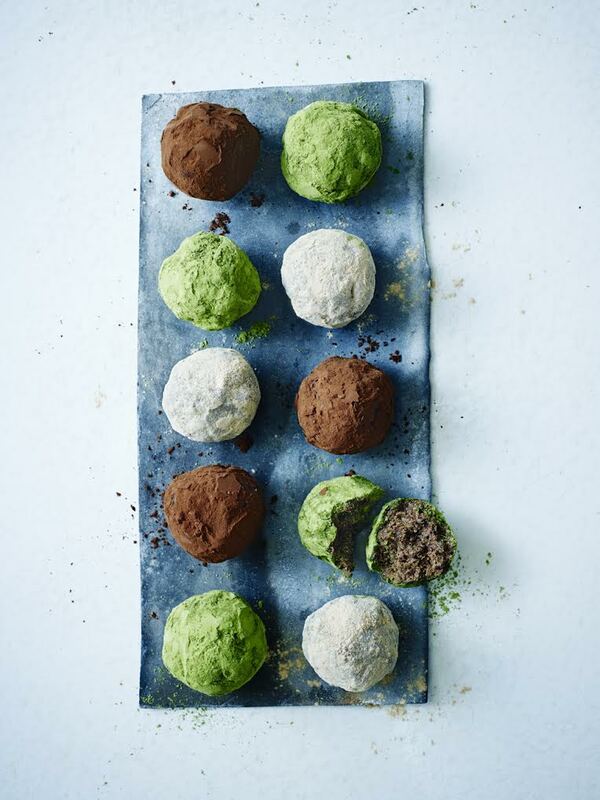 Roll the truffles in a little matcha powder or use some or all of the powders for dusting. Serve or store in the fridge for up to 1 week. 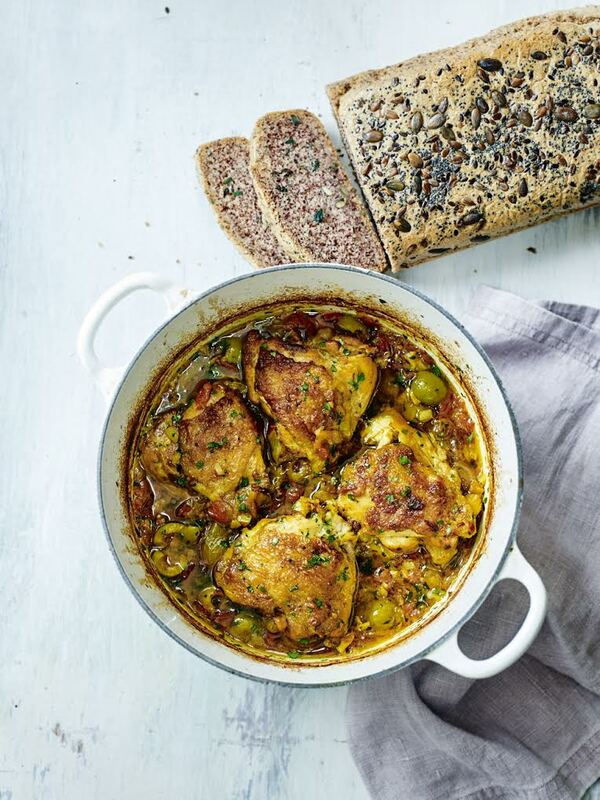 The combination of spices, lemon and herbs from The Gut Health Diet by Christine Bailey provide plenty of flavour for this Turkish-inspired, one-pot dish. 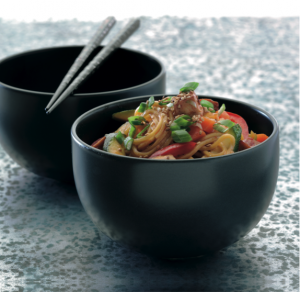 It’s ideal for a weekday meal because it can be prepared ahead of time. 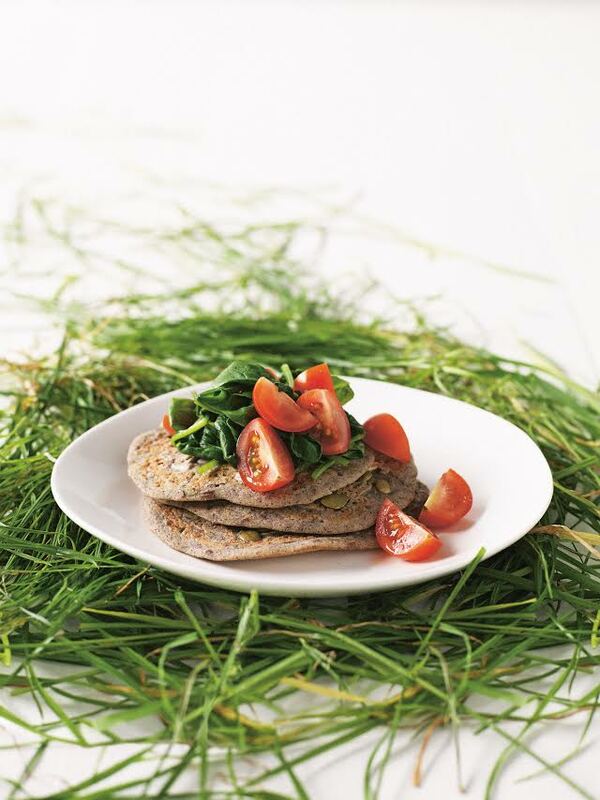 Serve with cauliflower rice or Paleo bread, if you like. 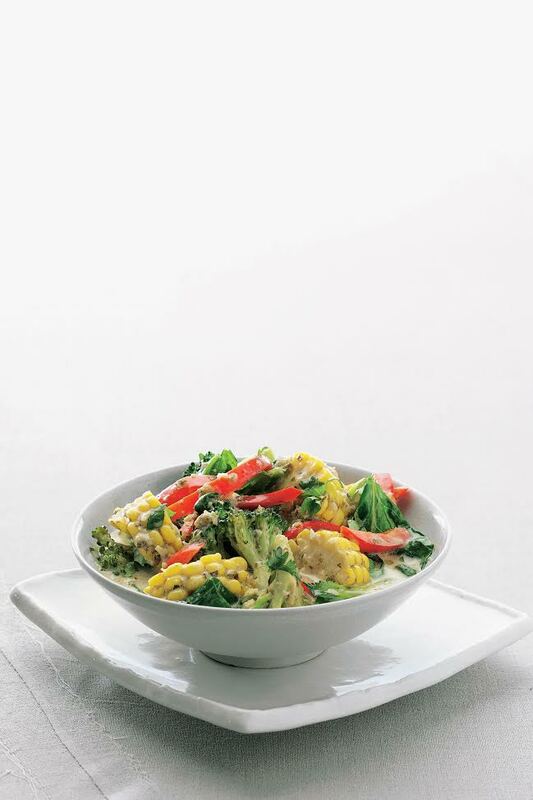 A spoonful of sauerkraut or pickles alongside the dish will give it a probiotic boost. Put the saffron in a small mortar and crush using a pestle. Leave to one side. Season the chicken with salt and pepper. Heat the oil in a flameproof casserole over a medium heat and cook the chicken on all sides for 2–3 minutes to brown it. Remove the chicken and leave to one side. Add the shallots, garlic, saffron and spices to the casserole. Cook gently for 5 minutes or until the shallots are soft. Return the chicken to the casserole and scatter over the tomatoes and olives. Pour in the broth and bring to the boil. Cover and cook in the oven for 45 minutes or until the chicken is tender and cooked through. Stir in the preserved lemon and parsley, then serve with Paleo bread, if you like. We are starting the second week of #14days of Wellbeing, our wellbeing marathon to kick start the summer. Last week we shared a lot of exciting material, including extracts from our back list, videos and relaxation exercises. Working with our sister imprint Watkins Publishing, we have been offering the chance to explore Gateways to Health, a great series from our backlist that includes succinct and effective practical exercises that can be performed anywhere and develop your mind-body balance if practiced everyday. 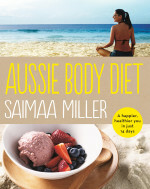 We have been sharing nutritional advise and tips everyday, including Christine Bailey’s healthy recipes, Saimaa Miller’s recipes and detox tips, and Renee McGregor advice on sport nutrition. Swami Saradananda has been busy preparing a series of short videos that focus on the practice of mudras, delving into some of the mudras, and including practical exercises to increase flexibility in your hands and fingers. Sound is a fundamental part of who we are. Our brains have evolved to respond to different sounds in certain ways – a scream sends a surge of adrenaline into our system while the soothing rhythm of a lullaby has a relaxing effect on our body and mind, encouraging us to sleep. We respond to sound not only with our consciousness, but also with our physical selves. We have been sharing Lyz Cooper’s sound healing exercises and awakenings sounds, inviting you to pay attention to the sounds that surrounds you, and the emotions they trigger. We have been working with Tamara Russell to find the best way to incorporate some mindfulness exercises in your #14days practice. How does your mind react to the challenge of learning a new movement? Is this a reaction you see elsewhere in your life at all? Like Tamara Russell’s cup of tea and paintbrush, we shared Tamara’s mindfulness exercises that can be fitted into your daily routine. You can still read all these material, plus our playlists and daily competitions, registering for free on www.14daysofwellbeing.com. For those who are following us, we hope you enjoyed this first week, let us know what you think, you can comment on our blogs or social media. For those who are not registered yet, you are still on time! You can still register for free on www.14daysofwellbeing.com. Many more exciting videos, nutritional advice, books and recordings from our authors are still to come, including Renee McGregor’s exclusive interviews with Olympic athletes Aly Dixon and Piers Gilliver. It’s Almost Time…14Days of Wellbeing is Coming soon! 14Days of Wellbeing is starting soon! Get ready and sign up on www.14daysofwellbeing.com. From Monday the 20th and for 14 days we will be sharing our author’s classes, listen to exclusive interviews, healthy wellbeing tips and tricks from our authors and nutritionists, and chapters from our books. All free and available from 14Days of Wellbeing website. Once you sign up, make sure to keep your username and password to hand. You will be able to use it for this and the future programmes. Check your e-mails, each day for 14 days you will receive an update via email, inviting you to enter our competition of the day. 14Days of Wellbeing is an opportunity to reconnect with your mind, body and spirit, and engage with us at Watkins and Nourish. Be part of our community by keeping an eye on our social media and following the hashtag #14days! Follow us on Facebook, Twitter and Instagram. Across all of our channels there will be yoga tips, mudra exercises, interviews, expert advice, delicious and nutritious recipes, motivational images, and meaningful extracts to inspire you to live your best life. We hope you will enjoy, and let us know how you experience the 14Days of Wellbeing! https://nourishbooks.com/wp-content/uploads/2016/06/14-days-feature.jpg 500 1100 Nourish https://nourishbooks.com/wp-content/uploads/2018/04/NourishLogo340x156-300x138-300x138.png Nourish2016-06-15 11:47:132016-07-06 10:46:43It’s Almost Time…14Days of Wellbeing is Coming soon!